We are rapidly approaching the 2013 All-Star Game at Citi Field and the midway point has already passed in a season that has witnessed the promotions of some of baseball’s top prospects. Amongst those promotions include the likes of Gerrit Cole, Kevin Gausman, Wil Myers, and Zack Wheeler, all of whom have been impressive in their respective stints with their big leagues clubs. 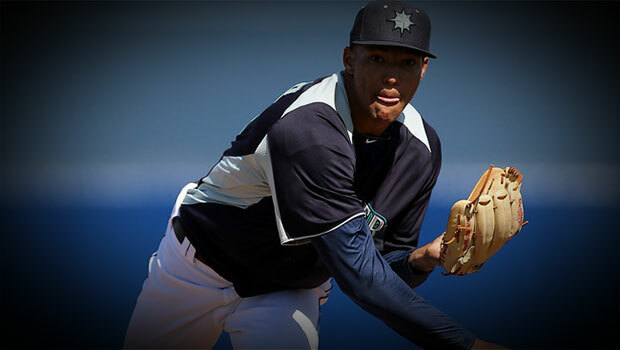 While a decent number of prospects were promoted in the first half of the season, plenty of prospects have been held back by their organizations, but as the past couple of weeks have displayed, many teams will be more willing to call up their top talent as means to not only give them valuable big league experience, but also an instructive challenge to their abilities and skill sets. As the season continues to progress, we will continue to bear witness to the big league debuts of some of the game’s top prospects. With that being said, let’s take a look at the top five prospects who may very well receive a big league call-up in the second-half of the season.